From the previous articles under Be your own boss, the guide to Start your own business we discuss what is a business, what is and what are the effect of the business environment and Business opportunity. These Social media are connecting with the above three topics in different ways. 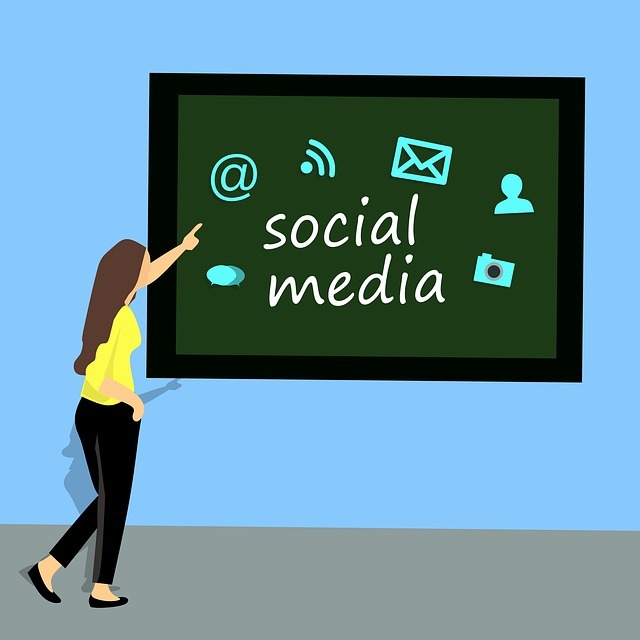 This is a good opportunity for you to start your own social media as a business or you can start a business using these social media, not only that also it can influence your business activities by positively or negatively. Why we discuss this topic? Because currently Social media are using millions of people and booming in the last years. Also, it is a leading factor in current society. So social media will affect and influence your business in a different way. So it’s better to know about the usage and effect of social media for your business. Social media is a web-based communication tool that enables people to interact with each other by both sharing and consuming information. it facilitates for sharing ideas, thoughts, and information. Social media are dedicated to communicating. Now, these days’ social media became popular among all kind of people. So social media, as well as social media users, increased day by day. Over 2 billion members with 2.23 billion monthly active users worldwide. You can easily communicate and exchange images and text and chat with each friend. This is the most popular social media. You can make a personal account, page, and communities. With that, you can communicate and exchange your personal details, your business details or blog and web details. You can share your information with other friends. Over 335 million monthly active users across the world. With Twitter, you can post short messages on your wall. This site for news, entertainment, sport, politics, and others. With that, you cannot post images and videos directly. It provides a linking facility and a short message with limited words. With that, you can get voice call and text messaging. facilities and video conversation facilities without any cost. Also, it provides group conference calls facilities. Also, it facilitates for chatting with each other. Forget these facilities only you need an internet connection and Skype account. Over 294 million monthly active users across the world. That’s own to Microsoft and they have over 500 million users. This is the most popular social media among business persons. LinkedIn provides facilities to exchange and communicate about information among professional people. Also, you can build a group easily. This service is specifically for professional people to exchange detail about their experiences, skills and other information. Over 1 billion monthly active users across the world. This is another wonderful social media site. Lots of celebrities and business people have Instagram accounts. This provides a single page where users go to find content about their friends and posts. It provides a tagging facility so new people can easily access your account. Over 1.9 billion monthly active users across the world. That facilitate for upload and watch videos with video sharing platform. So you can make the attractive video about your business or its products and publish on YouTube. Only you have to do create a YouTube channel with your email. Over 250 million monthly active users across the world. This is a place where people go to discover new things and be inspired, quite unlike other social media where engagement is the primary focus. Pinterest gives the opportunity to shape your customers’ purchasing decisions. Over 642 million monthly active users across the world. This is a micro-blogging and social media for sharing text, photos, links, videos, audios and more. Over 632 million monthly active users. This is a popular social networking platform based in China. Qzone users can upload multimedia, write blogs, play games and decorate their own virtual spaces. Over 100 million monthly active users. VK is one of the largest social networking platforms in Russia and has quite similar features to Facebook. That is introduced by Google. That is similar to Facebook but Google+ work with your Google account. Many persons use that social media but unfortunately google announced they will close Google+ in Feb. 2019. Note blogger - With blogger you can create a blogger blog without any cost. This is not a social media but with a blog site you can publish your business, products, invents, Guideline without any cost. Only you have to create a blogger blog with your Gmail. You can get a free domain name and hosting facilities from google. People use a lot of time with social media. They find a lot of things which they interested in. You can create your own social media profiles for your business. If you can reach to your customer by more and different ways via social media, then you can increase your brand awareness then it will help you to improve your brand popularity. Not only positively social media can affect your brand negatively too. It will damage your brand. So every time you working with social media and in business, you should aware of your activities to do right without mistakes, wrong things or illegal activities. After you have a good customer base and other stakeholders, they will follow you via your social media. So it can help you to make and hold them with brand loyalty. By using social media, you can access the people across the world with one click. By using one media you can promote your business across the world without cost. That will help you to save your money. With social media, you can influence your customer minds and put their minds to buy our products. What strategy you apply for marketing you will succeed. Social media are one of the sources of sales/marketing at low cost. So if you successfully manage your campaigns in social media you will succeed, otherwise, you will fail. You can keep aware of your competitors via your social media but keep in mind that your competitors also aware of your activities via your social media. OK. So now you have a better understanding of How to affect important social media for your business. That will affect your business positively as well as negatively. So when you work with social media you must care and aware about what you post in your social media profiles. So I will think that an article about How to effect Social Media for Your Business will help your business to get benefit from social media. The article is best which I have ever seen before that related to "Effectiveness of Social Media in Business".